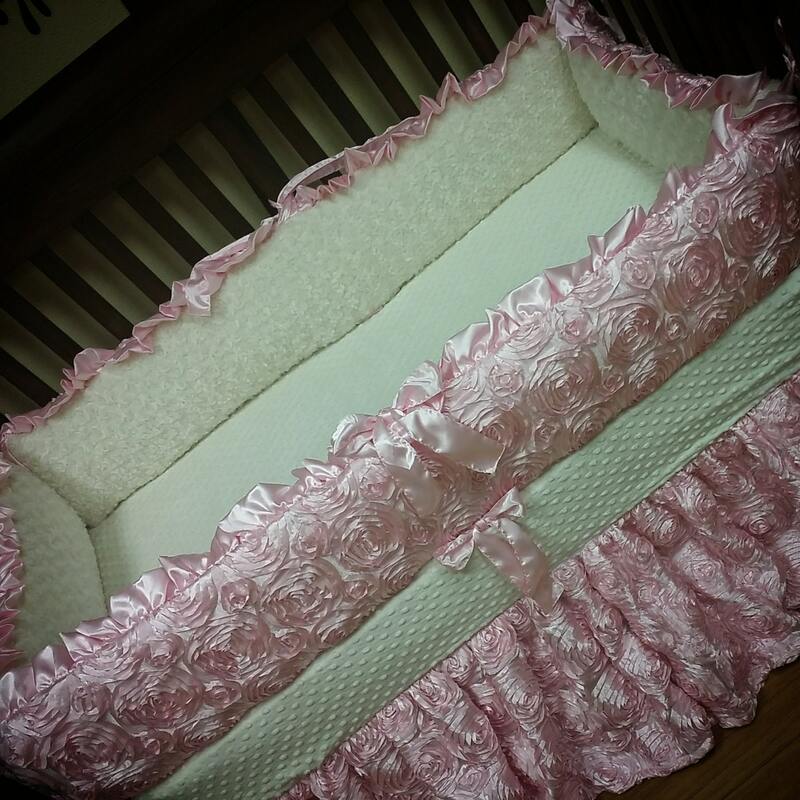 Pink, Satin, Rosette Crib Set with Ivory Minky. 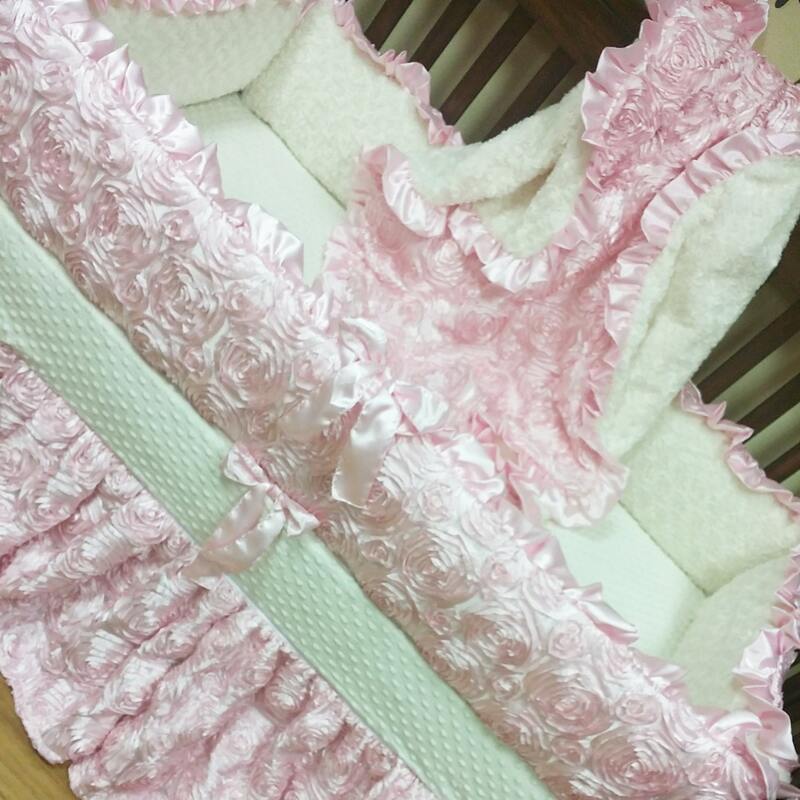 For this set shown, I used a baby pink satin rosette fabric for the main bumper, top of blanket, and the bottom of the ruffled skirt, baby pink smooth satin for the bumper & blanket ruffle and bumper ties, reverse side of bumper an blanket is with ivory minky rosebud. 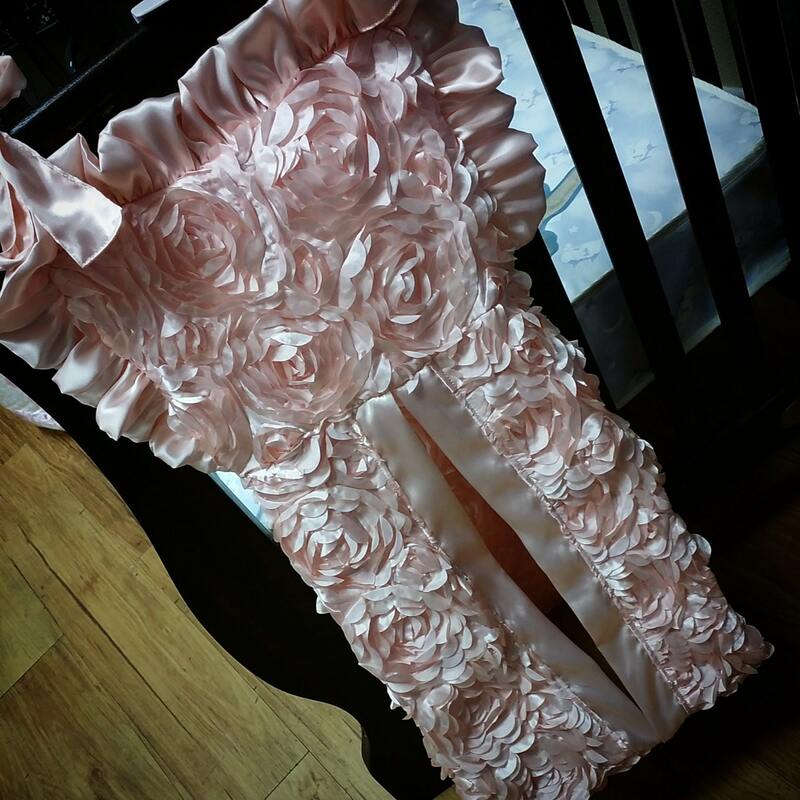 This is a beautiful and elegant set that is wonderfully made. 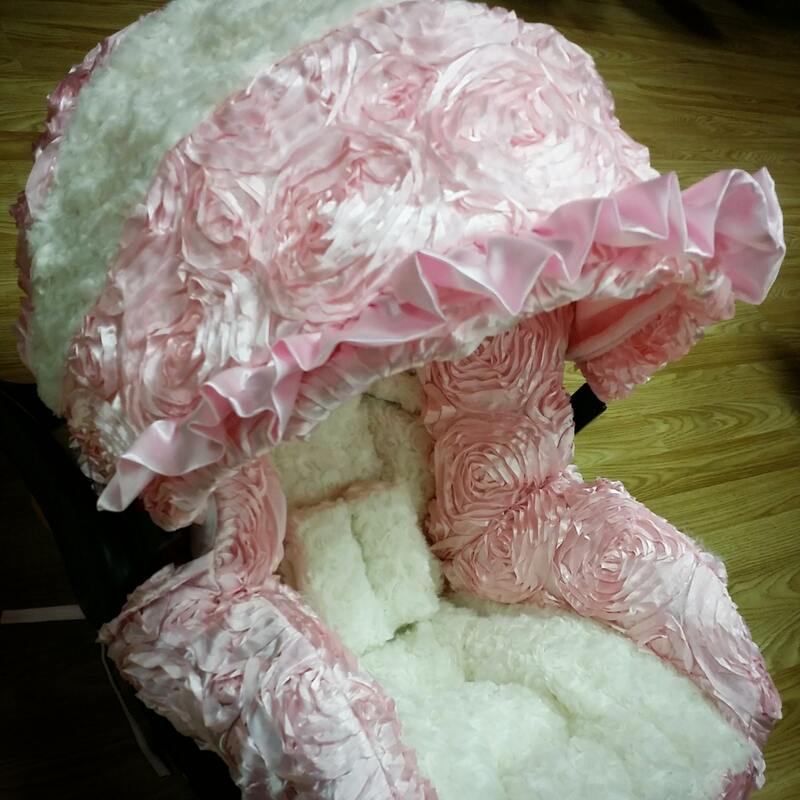 I can't wait for our daughter to try it out! Thank you!